In Photos: U.S. Special Forces Support SDF Units Clashing With ISIS In Syria’s Deir Ezzor Province 3 out of 5 based on 4 ratings. 4 user reviews. The US military released a photo report showing a U.S. Army Special Forces Multi-Purpose Canine team, which was involved in a military operation to support the US-backed Syrian Democratic Forces (SDF) in the Syrian province of Deir Ezzor. The photos were reportedly made on October 11-12, 2018 when the US-backed force was advancing on ISIS positions in the Hajin area in the Euphrates Valley. Despite an active US support, the SDF was not able to deliver a devastating blow to the terrorist group in the area. Hajin remains the key ISIS stronghold in the war-torn country. Bro, Shia militias whipped you in Iraq, and SAA whipped you in Syria. End of story. No one supports your cause. Even Sunnis stopped being sympathetic to you once they realised you were psychopaths. Sunnis thanked militias when they freed them from your rule. If you want to defeat NATO, why don’t you fight Saudi Arabia, Turkey and Israel, instead of recieveing support from them. DAESH filth will never return, got whipped too much. None of the Sunni’s even want anything to do with your filth. (Abu-Bakr al-Baghdadi) This conquest was not successful except for what they saw and what was strong, and the suspension of the bodies of enemies. God is in front of the people to punish them, the promise of God’s right when you play the lead of the Euphrates River Euphrates blood of rejection of infidelity and stop the enemy of God alone and set up the edge of the sword it is not okay to kill them because they disobeyed God and his soldiers in the land of controversy as we cut from the heads and blew during the difficulties of Jihad and in the high plains And the mountains will come to your strongholds once and for all And even if they know that God is right in his punishment then they will not enter the second time because they know that the blacks of Islam are facing them by slaughtering, killing and cutting off heads, and we will enter Baghdad and the top of it with God’s permission. He remained with his ear Anshalh and prove the feet of the soldiers of the dispute and victory over his enemies, it is okay that you were martyred and your body fell under the clouds of dust in your place in God in the Gardens of Eden and the Gardens of Aden comes after you black state conflict in the jihad shown, either after, the state of Islam in Iraq and Sham remaining. Stop wasting thread space with this rubbish. Drones aren’t legal in federal wilderness. But my new Seek Compact Pro camera for my phone produces this quality of video from the tests that I’ve run in the city. If I run into this in the wilderness on an op in conjunction with howls. I may attempt a meeting with one or more of them. 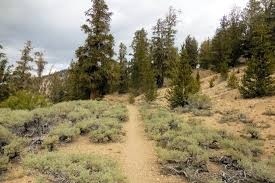 I enjoy this kind of trail, good vision and great mixed terrain. I’m sure that they’re using the trail system. But there numerous reports of their tracks off trail that just stop in the snow. Which may be because they’re getting picked up, which is why they’re not captured or found dead. So if you here this, as I did two summer nights ago just before the close encounter with them. Which is why I got up and got moving in the first place. Stay alert and keep your wits about you. The photos show an Army Ranger with an AT4, a bomb sniffer dog and his handler (who’s a Ranger), a mortar team (twice), and again what looks like the same dog and handler with what looks like Kurds in the background. Nothing out of the ordinary when it comes to US soldiers that the locals would encounter. U.S. Special Forces Support SDF Units Clashing With ISIS In Syria’s Deir Ezzor Province. The US Special Forces or ISIS terrorists should not supposed to be there in Syria. For how long they will survive there and will hide from Syrian, Russian and Iranian forces.